For the savvy woman, this O pendant from the Roberto Coin Cento collection is a must-have! 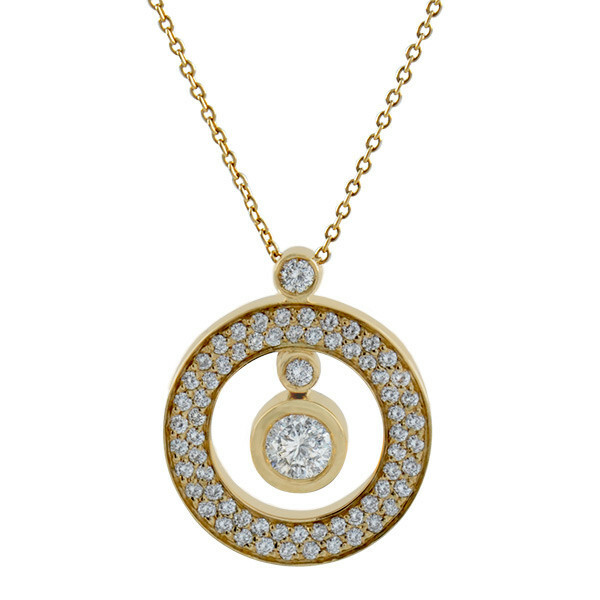 A lush 18kt yellow gold circle is richly embellished with gorgeous diamonds. Two gemstones, one large and one small, drop into the center of the piece, while a medium-sized diamond rests above the circle. This cosmopolitan look can only come from Roberto Coin.